1.Gent John Audis, 1745-1823 -A Man of own means. 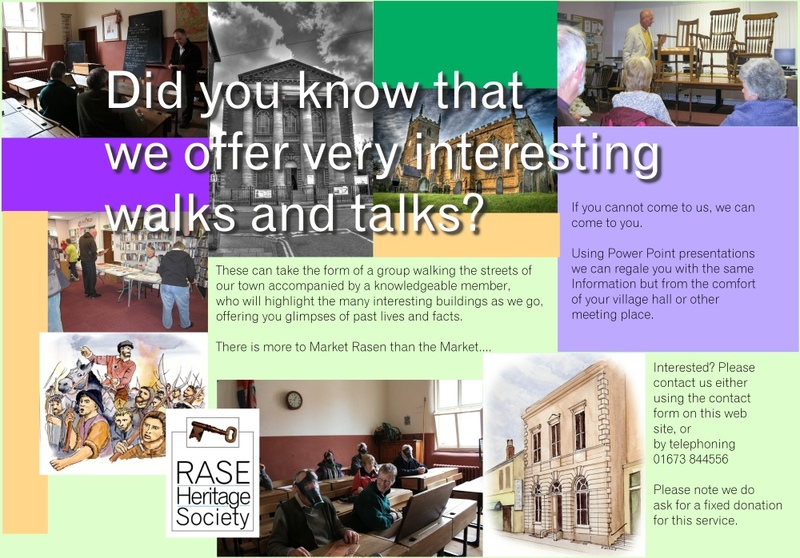 2.Rev Matthew Barnett, 1761-1833 – Vicar of Market Rasen 1812-1825, he set up the town Freemason Lodge. 3.Dr Zacharich Barton, 1780-1854 – Practiced medicine in town 1803-1850s. Living in Sheffied Manor, George Street. 4.Mr William Bellamy, 1767-1829 -Plumber and Glazier, worked in town 1787-1829. 5.Mr John Bennett, 1768-1837- Auctioneer in Queen Street. 6.Gent Thomas Bonson, 1771-1830 -A Man of own means. 7.Mr Richard Clarke, 1762-1822 – Linen and woollen Draper, spirit merchant and tallow chandlers. Property in market and Middle Rasen. 8.Mr John James Clarke, 1789- Draper and grocer in Queen Street, Churchwarden. 9.Mr Robert Chamber, 1754-1839 -Currier in Queen Street, declared bankrupt in December 1818. 10.Esq Samuel Cropper, 1792-1841 – Articles of Clerkship 1809, member of Freemason Lodge, inquest into death-Sanguineous apoplexy. 11.Mr William Fox, 1778- A Farmer, retired to King Street. 12.Mr John Fewster, 1780-1864 – Bricklayer, lived in Rasen until 1841, then moved to Hull. 13.Dr John Graves, 1754-1820 – Surgeon in Rasen. 14.Mr Samuel Gibson, 1773-1849 – Labourer, 1841 census living in King Street. 15.Mr Thomas Greenwood, 1759-1836 – Saddler in Queen Street. 16.Mr William Hammond, – 1818 listed as wheelwright. 17.Mr George Johnson, 1780-1859 – Miller and baker, born in Market Rasen. 18.Mr Luke Jobson, 1767-1828 – 1818 listed as carrier. 19.Mr Joseph Kendall, 1778-1843 -Was trained as carpenter, but became Innkeeper of White Hart Inn. 20.Mr John Lancaster, 1757-1837 – Boot and shoe maker in King Street. 21.Rev John C Leppington, 1775-1833 – Methodist Wesleyan Minister. 1818-1825 in Rasen area. 22.Mr Thomas Mitchell, 1766-1838 – Saddler in George Street. 23.Mr John Morley, 1791- Linen and woollen draper in King Street. 24.Mr Thomas Parkinson -Innholder and keeper of The George Inn. 25.Mr Benjamin Plaskitt, 1779-1827 – Shoemaker. 26.Rev John Robinson, 1776-1848 – Curate of St Thomas, then Rector at Faldingworth. Died after falling of horse. 27.Mr William Rawson, 1761-1846 – Miller and baker. 28.Mr John Robinson, 1766-1832 – Carpenter of Willingham Street. 29.Mr James Smith, 1778-1854 – Nursey and seedman in Queen Street. 30.Mr John Shearman, 1770-1846 – Shoemaker in Queen Street, family of boot and shoemaker, leather cutters, and cordwainers. 31.Mr George Taylor, 1771-1839 – Brazier and tinman in George Street. 32.Mr William Torrey, 1768-1838 – Bricklayer and plasterer in King Street. 33.Mr William Torrey senior, -Book and shoemaker. Son Robinson Torrey died when steamship Pegasus was shipwrecked of coast of Holy Island in 1843. 34.Mr Joseph White – Innkeeper of Lord Nelson Inn. 35.Mr Anthony Wright, 1777-1826 – 1818 listed as butcher. 36.Mr George Ward, 1768-1833 -Joiner, cabinet maker and builder in George Street. 37.Mr Joseph Watson, 1776- Watchmaker and jeweller in Market Place. 38.Mr Thomas Wells, 1766-1848 – Blacksmith and farrier in Queen Street.